Description: New in box Rem# 85200 X-Werks coated Armor Black Remington 700 5R .308 with a 20" 416R Stainless steel 1/11.25 twist match grade threaded 5/8x24 barrel. The Bolt is left jeweled as well on this model. The HS precision stock is aluminum bedded and the rifle features the X-Mark pro trigger! 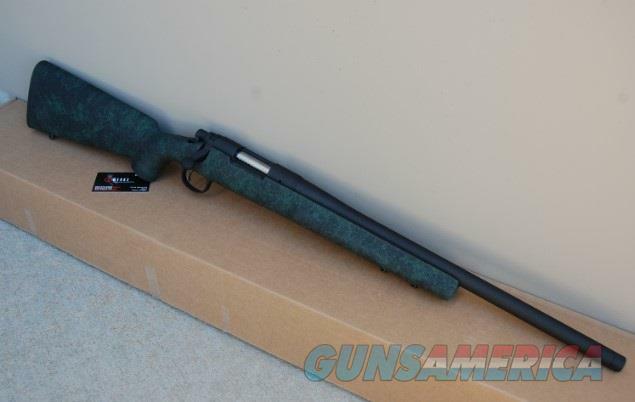 Remington Firearms 85200 700 5-R Bolt 308 Winchester/7.62 NATO 20" 4+1 Synthetic HS Precision Black w/Green Web Stk Stainless The Remington 700 5-R sets the benchmark for accuracy and durability. Much like M-24, the barrel is cold hammer forged and features 5-R rifling. The 5R rifling profile increases barrel life expectancy, accuracy and creates less fouling and bullet deformation over time. It has a stainless steel action and barrel, H.S. Precision composite stock, dual front swivel stud system, and a X-Mark Pro adjustable trigger. his model features a 20" threaded barrel chambered in 308/7.62 NATO.